Monday will mark the start of Long Beach Walk to School Week, a program put on by local nonprofit Walk Long Beach working with City Fabrick, the city health department’s “Healthy Active Long Beach” program, Long Beach Unified School District and the Long Beach Police Department. 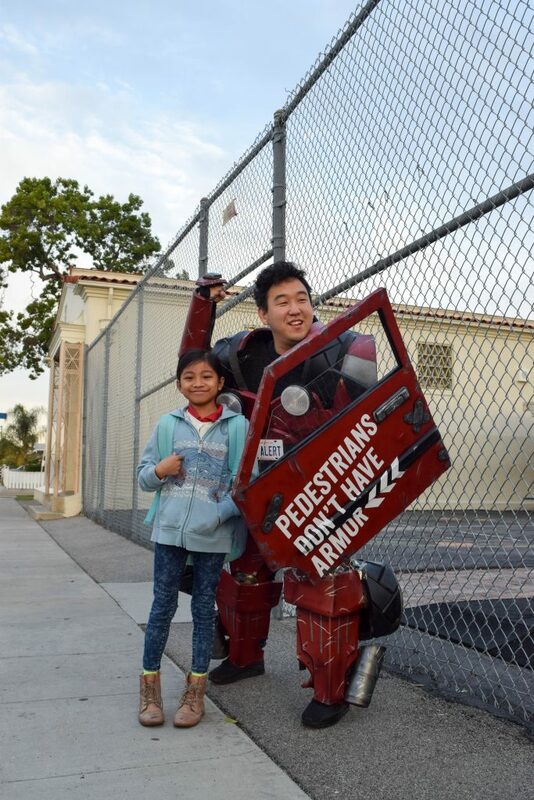 This is Walk Long Beach’s second year putting on the event, which this week hosted a poster-making contest inviting students to visualize the concept “it’s cool to walk to school”. Entries were received from 40 classes in the district, with the winning students to be recognized in May at a city council meeting. 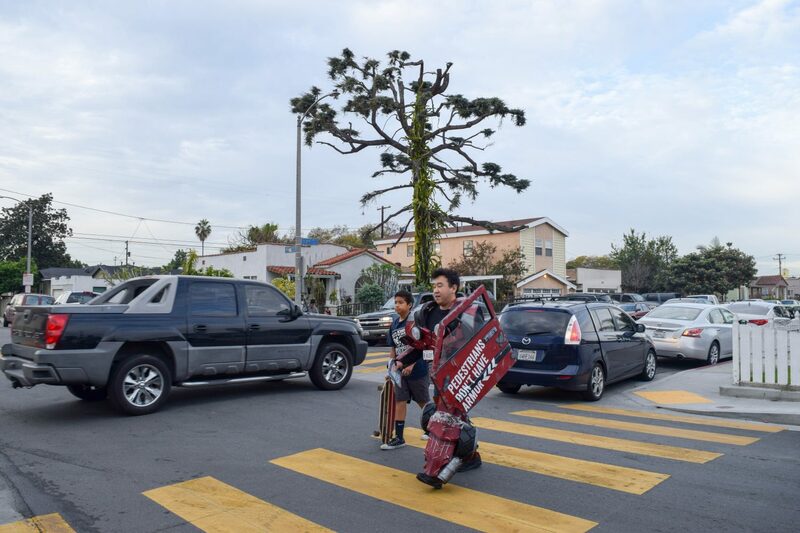 Starting next week, the nonprofit will show up at eight different LBUSD schools, including Birney, Roosevelt and Willard, to hand out safety information, stickers and puzzles to promote the benefits of walking, as well as other forms of active and healthy transportation. “Walking to school is quality time for parents or grandparents with younger children, a chance to get a little fresh air in the morning, and is usually less stressful than the ‘fire drill’ of jumping in the car and racing to school and then heading off to work,” Gerhardt said. 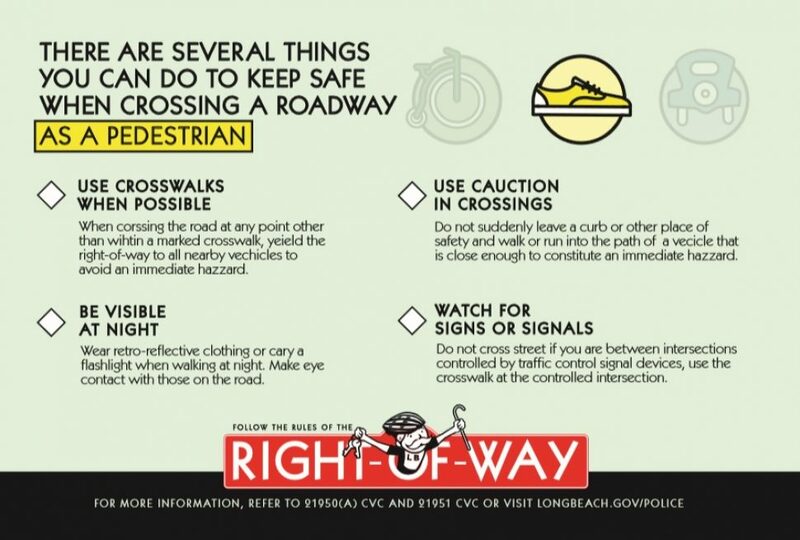 Walk Long Beach is also working with the LBPD to hand out “get out of jail free” cards which provide information for drivers, bikers and walkers on how to be safe on the way to school. For more information, follow along via Walk Long Beach’s Facebook page here.